These easy Sausage Stars Appetizers are the perfect recipe for your next celebration. Hey friends. I have one question. Are you ready to wipe the slate clean and start a new year? It’s hard to believe that we will soon be ringing in yet another year on the calendar. Whether we are ready or not, here it comes. Food is a perfect way to celebrate any special occasion. These Sausage Stars Appetizers are a tasty and delicious way to celebrate. I first had these Sausage Stars at a friends house several years ago. Let me tell you, it was love at first bite. Sausage Stars Appetizers are perfect for any gathering. 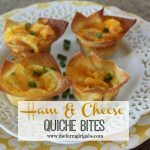 If you remember a while back, I talked my love of wonton wrappers when I shared my Ham & Cheese Quiche Bites recipe. Wonton wrappers get a high five from me because they are so versatile. Fill them with sweet or savory ingredients. Italian sausage is the star of this appetizer. I fried some along with bell peppers and a pinch of red pepper flakes for just a bit of zing. Spray a miniature muffin pan with PAM non-stick cooking spray. Gently press the wonton into each cup. 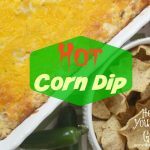 Fill with a heaping tablespoon of the sausage filling and top with a nice amount of shredded cheddar cheese….because cheese makes the world go around in my book! When you bake these sausage stars, the wonton gets nice a crispy on the outside. I love the crunchy texture. The sausage and cheese meld together to create serious deliciousness. These bad boys can be prepped ahead of time too. You can even bake them in advance and heat them just before your guests arrive. What’s on your menu for the big game? Share your meal time game plan below. I would love to hear all about it. Celebrate your special occasion with this easy Sausage Stars Appetizers recipe. Chop pepper and set aside. Saute sausage in a pan on medium high heat. Add pepper and cook until sausage is cooked through. Remove from heat. Spray a miniature muffin pan with non-stick cooking spray. Gently press a wonton into each cup. Add a heaping tablespoon of the sausage filling to the wonton. Top with some cheddar cheese. Bake for 20 minutes of until golden brown.